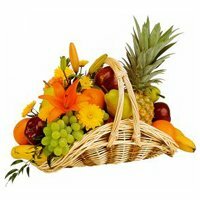 Order Online to Send Fresh Fruits to Amritsar and wish your dear ones for their well being and good health on occasions like Diwali, Christmas, New Year, Holi, Rakhi etc. 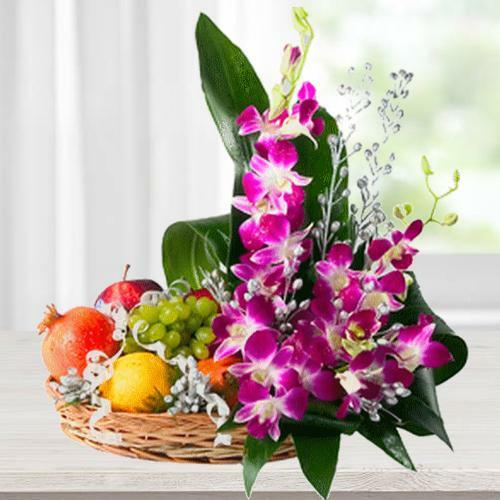 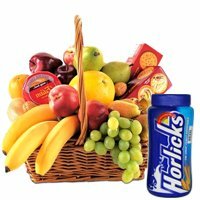 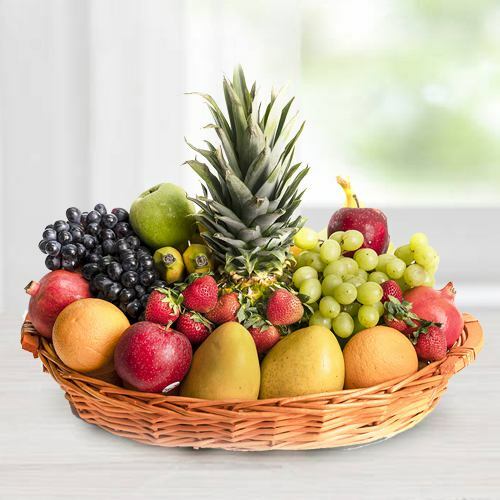 To Send Get Well Soon wishes our website offers plenty of Fresh Fruits Basket loaded with Fruits rich in nutritional values such as Pomegranate, Pears, Guava, Peach, Oranges, Pineapple, Kiwi and lot more that is sure to deliver a smile on your loved ones face! 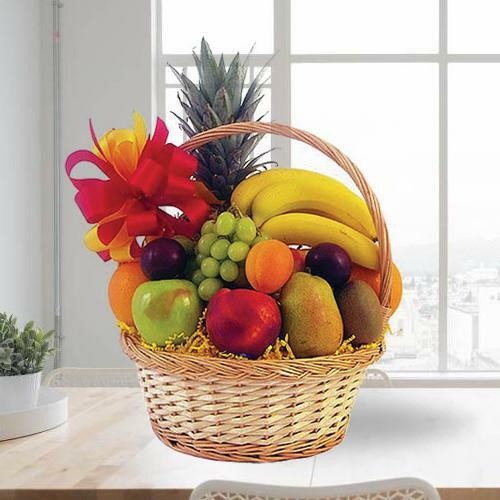 Our delivery agents have been trained to make sure each Fruits Basket looks great and delivered for fresh. 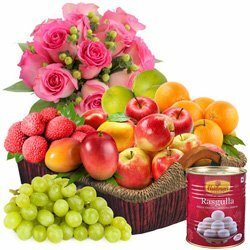 Pair up your preferred Fruits Basket with Chocolates, Flowers Bouquet, Greetings Card and more items at Low Price and get Quick Delivery of Big Fruits Basket in Amritsar, Punjab. 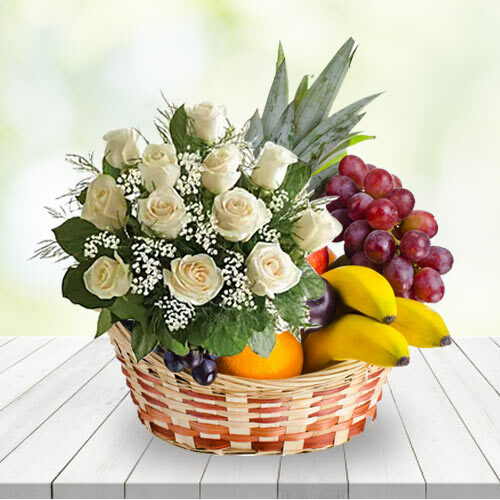 Avail our service of Same Day Delivery with Free Shipping so that we can send your Fruits Basket Order Today to all possible locations of Amritsar including INA Colony, GT Road, Majitha Road, Saidpur, Roop Nagar, Azad Nagar, Model Town, Vijay Nagar and various such locations. 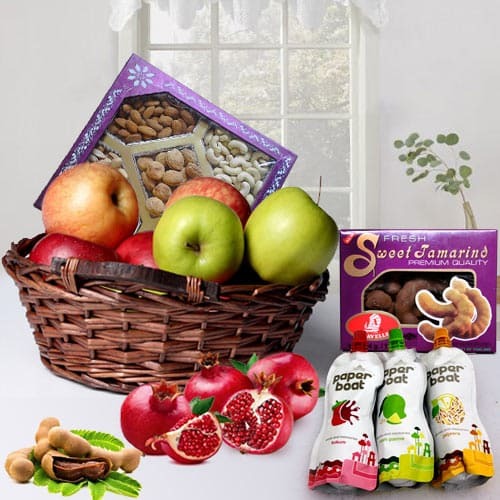 If you are looking for a healthy Gift for the health freak person then our e-shop is the one stop shop for Sending Fresh Fruits Basket to Amritsar Same Day. 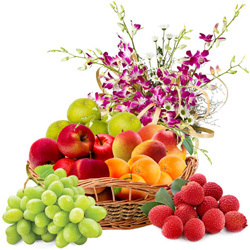 All you have to do is place Online Order with us and we make sure to Send mouth watering Fruits like Mangos, Litchis, Green Apple, Watermelon, Custard Apple, Strawberry etc On-time to your desired location in Amritsar, India. 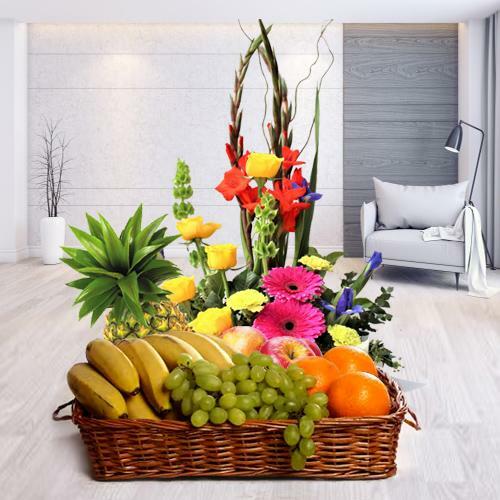 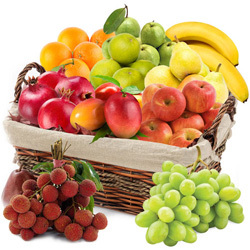 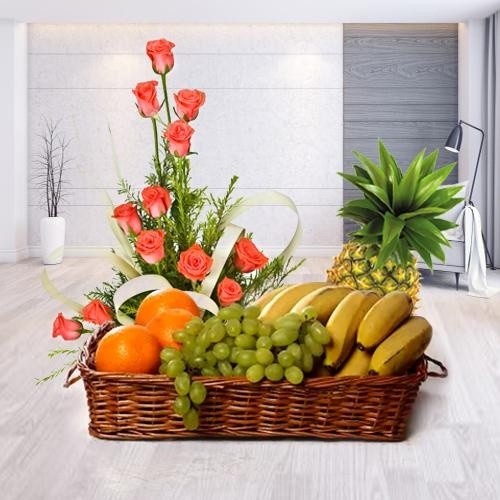 With our Quick Delivery service you can Send Big Fresh Fruits Basket to Amritsar, Punjab from any part of India as well as across boarder on various occasions like House-warming parties, Birthday bash, Wedding Anniversary, Mother�s Day, Raksha Bandhan and even to wish for Get Well Soon. 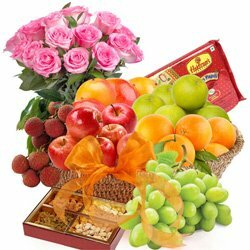 Add joy and wishes of well being for your family, friends or relatives on occasions like Diwali, New Year, Mother�s Day, Father�s Day etc and greet them in special ways by Sending Fresh Fruits to Amritsar Same Day. 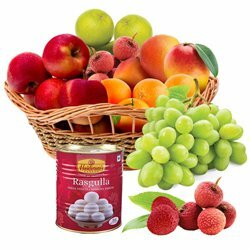 You can choose from a number of Fruits Basket comprising of Fresh Fruits like Pears, Orange, Pineapple, Kiwi, Green Apple, Watermelon, Papaya, Coconuts etc. 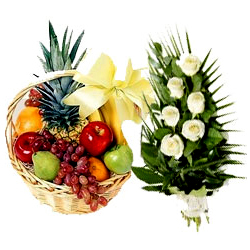 and Send Fresh Fruits to Amritsar to wish for Get Well Soon. 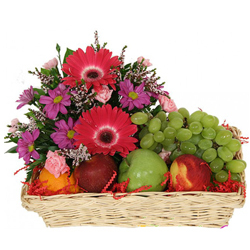 Our range of top quality Fruits are handpicked and arranged in decorative Baskets along with Fresh Flowers for an added touch and ready for delivery at most reasonable rates. 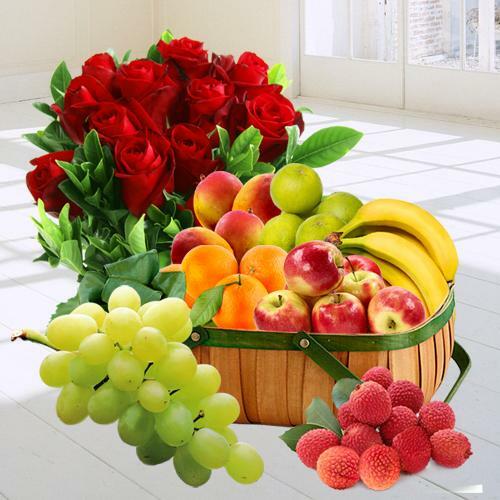 You can grab the offer of Free Same Day Delivery and Next Day Fruits Delivery in Amritsar, Punjab to your desire locations by placing Online Order even from USA, UK, Canada, Australia and so on.